A key element of the case for HSR is that it is more environmentally sustainable than other modes of transport. Work carried out in 2009 for Greengauge 21 by the Association of Train Operating Companies (ATOC)1 assessed the carbon emissions of HSR compared with car and air travel. 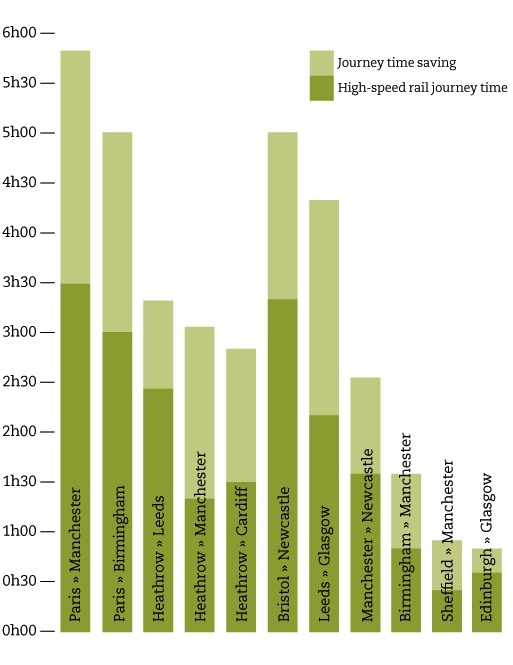 High speed rail (HSR) has the potential to deliver a step-change in the time it takes to travel between major cities of the UK, typically offering journey time savings of 30-45% over today’s rail journeys. Improving links between city regions by bringing them effectively ‘closer together’ will improve regional economic performance and help narrow the north-south divide. 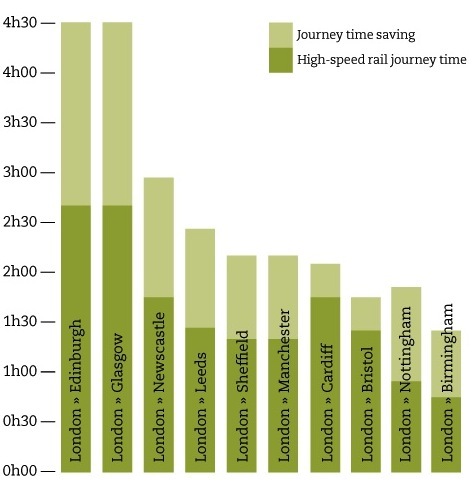 Operating at speeds of at least 300 km/hour will allow the railway to offer journey times of 3 hours or less between London and Scotland, which will result in a major mode shift from air to rail travel, with consequential environmental benefits.